Northern Minnesota is not reliably frost free until June first, and may experience the first killing frost of fall in September—not exactly an ideal tomato growing climate. However, if you start your tomatoes indoors early in the spring and are prepared to cover them up on cool autumn nights, you can still grow tomatoes in northern Minnesota. Tomatoes that ripen early in the season will provide the best results. No northern Minnesota garden is complete without a few Early Girl tomato plants. This slicing tomato begins to ripen in 52 days and will continue to produce throughout the summer. The fruit of an Early Girl tomato is small to medium size, weighing between 4 to 6 ounces. 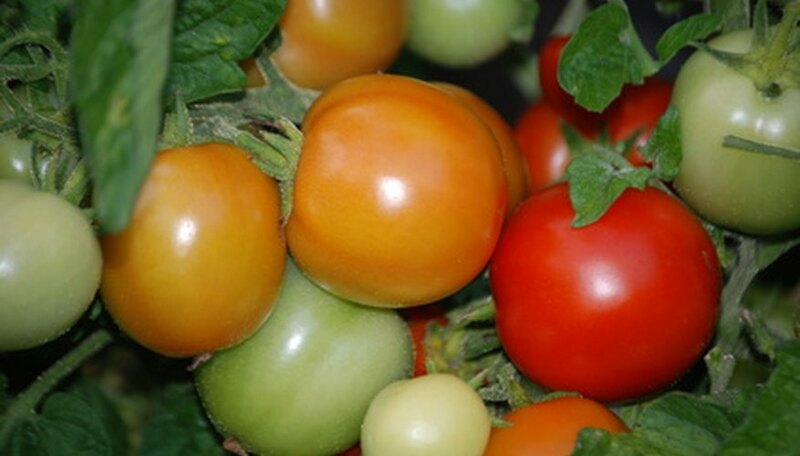 This hybrid tomato has good disease resistance and the plant is a dependable performer. Heirloom Glacier tomatoes offer the benefit of ripening even during cold weather, so your tomato crop won't be put on hold during a midsummer cold snap that northern Minnesota is prone to. The small, 2-ounce tomatoes have a rich, tangy flavor, and they ripen in about 58 days. Glacier is a determinate tomato plant, which means that the fruit ripens all at once. Grushovka tomatoes were developed in Siberia, so getting them to survive a northern Minnesota summer should be a breeze. The fruit is about 3 inches in length and oblong. The thin skin and determinate growth habit make the Grushovka tomato ideal for cooking into sauce or for canning. Grushovka tomatoes ripen in about 65 days. This Russian heirloom tomato produces huge, 1- to 2-pound fruits that are a pretty and rosy pink. Ispolin ripens earlier than other very large tomatoes, and you can start to expect ripe fruit after about 75 days. The plants will also tolerate cooler temperatures. Ispolin tomatoes are perfect for sandwiches and salads, and the fruit may also be cooked down into sauce. Oregon Spring tomatoes begin to ripen in about 58 days and will continue to produce through the summer. The fruit is fist-sized, very juicy and flavorful, and with few seeds. The compact plants are cold tolerant. Siberian tomatoes will set fruit even if temperatures dip down to the 30s or 40s, and in northern Minnesota this can happen any month of the year. Siberian tomatoes are on the small side, generally 3 to 5 ounces, but are very flavorful. They ripen in about 55 days. The fruit is borne in heavy clusters and comes all at once. What Are Some Good Tomatoes to Grow in Zone 5?